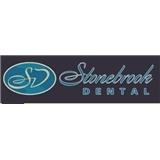 Stonebrook Dental (Sacramento) - Book Appointment Online! Welcome to Stonebrook Dental. We are a boutique dental practice dedicated to providing you with quality dentistry in a relaxed, soothing and comfortable environment, where your oral health and your highest satisfaction are our top priority. We are so confident in the quality dentistry we provide that we even go as far as guaranteeing our dental work for 5 years to eliminate any guess work out of choosing who to trust your smile to.